Advanced systems to improve hearing in challenging listening situations, such as hearing in background noise. Improved comfort of hearing, with faster and more effective noise reduction strategies. Improved cosmetics, through miniturizing components and therefore the hearing instrument. 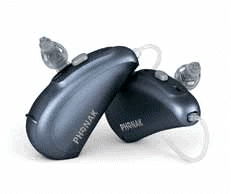 There are many different styles and types of hearing instruments available today. Your audiologist can discuss various options with you to help you to make the most informed choice.